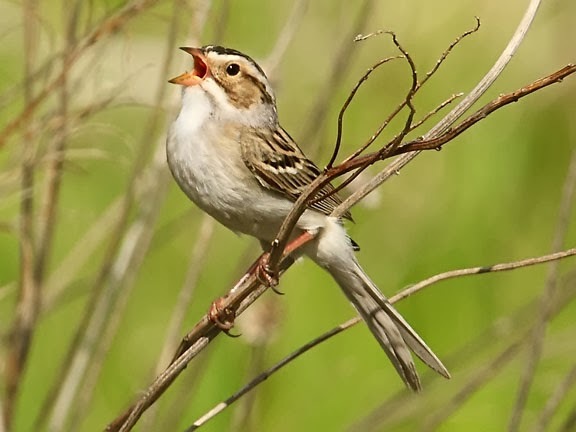 The clay-colored sparrow is one of the most numerous songbirds found on the central plains of North America. They breed in central Canada and the north Central United States and winter primarily in Mexico. They breed in shrubland habitats. 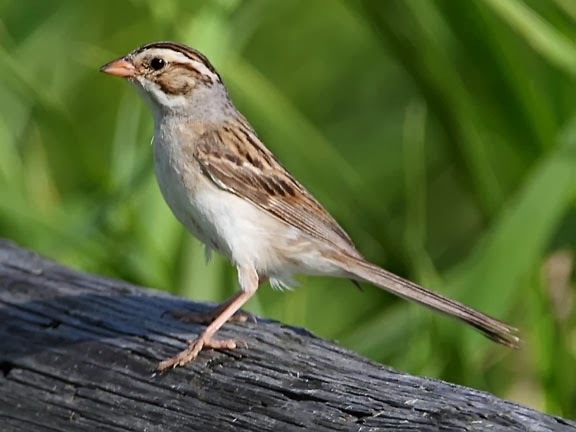 The breeding territory is smaller then most other species of sparrow because they forage away from their breeding territory. They forage on the ground and eat a variety of seeds, grasses, leaf buds, and insects. Males typically come back to the same nesting territory each year but females usually choose a different territory and mate each year. Their nest is usually located on the lower branches of a bush near to the ground. Females build the nest, which is cup shaped, but males help by bringing nesting materials like twigs and grass. The eggs take a week and a half to two weeks to hatch. The chicks are born helpless and with out feathers. In 7-9 days after hatching they leave the nest. They are still not able to fly at this time but they will spend the next week on the ground in the bushes where they will be fed by their parents. This sparrow is wonderful ! 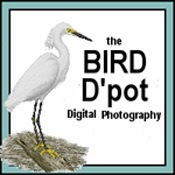 This is Anni @ I'd Rather B Birdin'...but I'm in my personal blog admin [Hootin' Anni's]. I love these images, especially the one of the sparrow in song.